Tewksbury Team Red Cards (U8 Tournament Team) participated in The Mass Cup Tournament this past weekend at Frasca Field in Tewksbury and had a great showing. 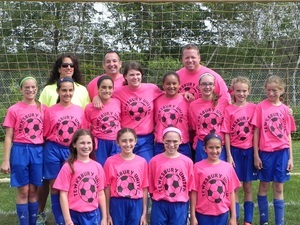 Team Tewksbury United (GU12-5) had an amazing soccer season this year finishing in first place in their MYSL division. 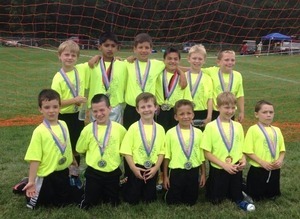 They finished off the season with a great showing in Tewksbury’s Mass Cup Tournament held this past weekend at Frasca Field. Missing from picture is Nicolette Evangelista and Mia Gaglione.